I have a fun little giveaway today! 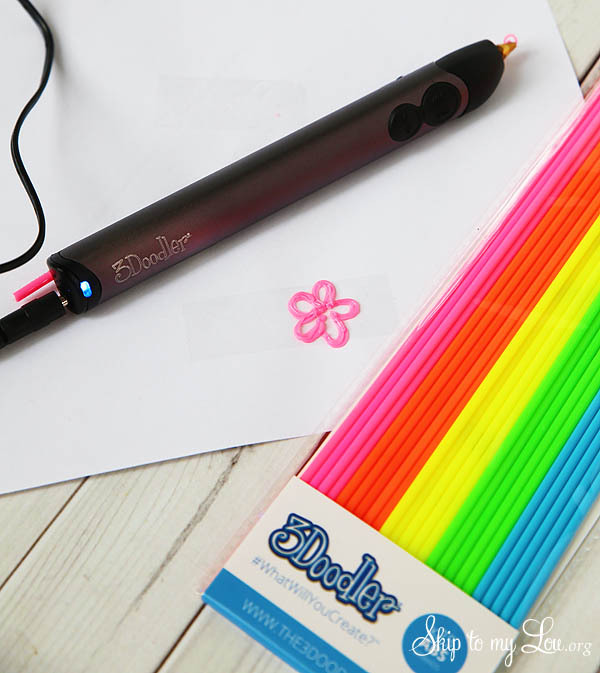 The 3Doodler 2.0 is a 3D printing pen. 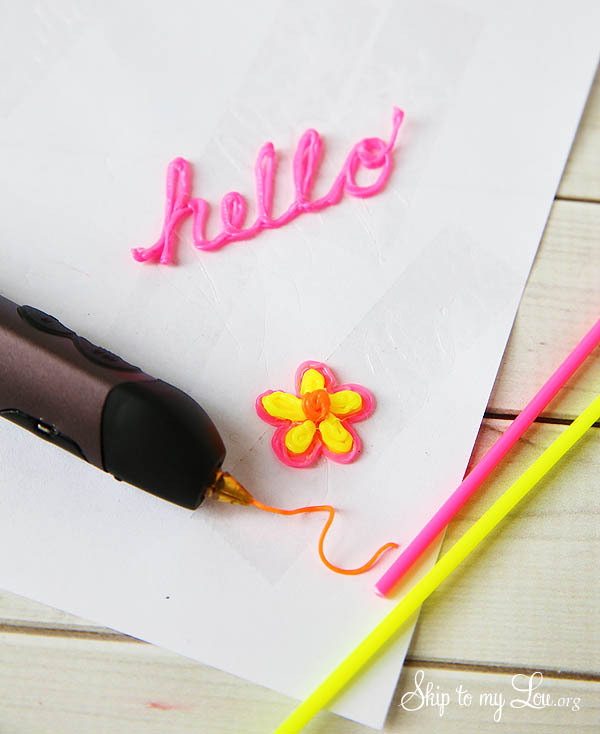 The pen draws dimensional figures and structures by extruding heated plastic that quickly cools and solidifies strong and stable. You can build a variety of dimensional artwork, toys, jewelry, sculptures, vertical drawings and more. It is much more affordable than a 3D printer – you have to check it out! Watch this amazing video here! We plugged it in and starting making right away. 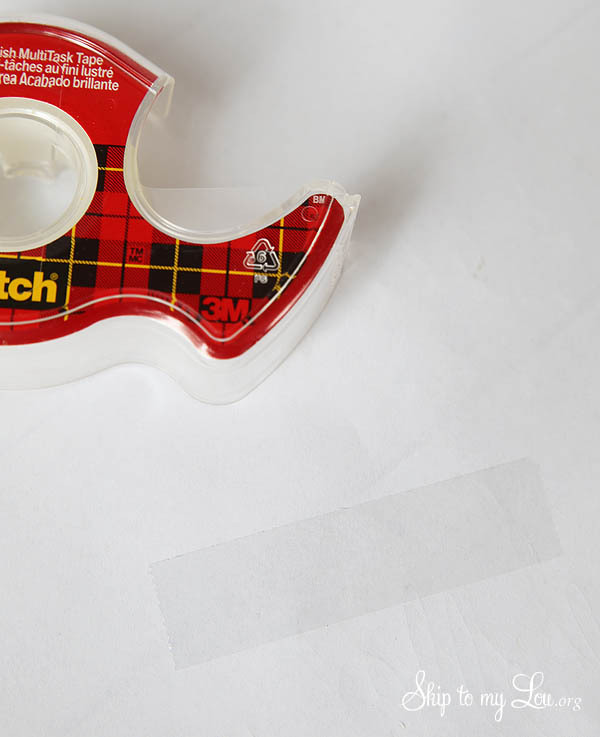 We placed a piece of tape on our paper to make it easier for the plastic to stick. It works just like a pen. As you move the pen plastic flows out just like ink. However, it gets hard and can make so many things. We made a little flower for a ring. First starting with pink, then yellow and finishing off with an orange center. 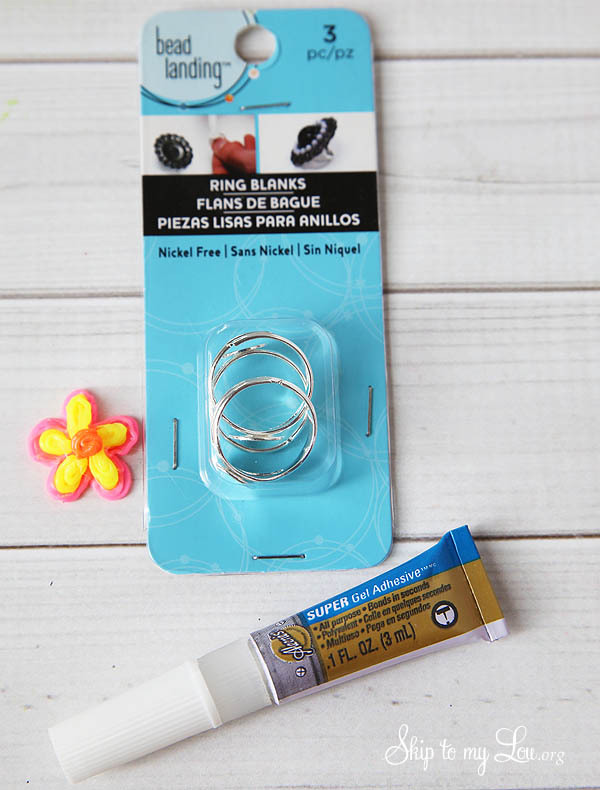 To turn our flower into a ring we purchase ring blanks and all purpose adhesive from Michaels. 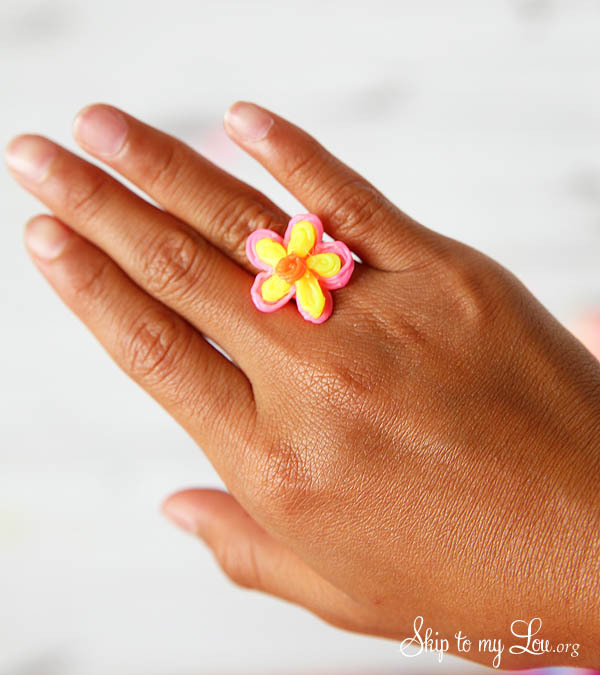 Glue the plastic dimensional flower to the ring base and you have a darling ring. We are off to make matching earrings! Want to give it a try? I have one of these 3Doodlers up for grabs! Wait for the rafflecopter to load and enter. The lucky winner could be YOU! These are SO cool!! I've wanted one ever since I saw them on Kickstarter a few years ago!! My daughter loves to craft! She would freak out if we won this! I could have heaps of fun with this 'toy'. Thanks for showcasing it and the chance to own it.